Opportunity for tax deduction….June 30 is nearly here! As you may have noticed, construction of our new Innovation Centre is now well underway. We would like to create a beautiful entry to the school including an outdoor shelter between the new building & the Performance Hall. The aim is to provide students & parents with a covered drop off area at pick up time and students with an additional sheltered space in the playground. This is in addition to the building that is currently underway. Donations to the Building Fund are tax deductible and with June 30 fast approaching now is a great time to help! http://capebyronsteiner.nsw.edu.au/wp-content/uploads/2015/12/CBRSSwebheaderlogo.png 0 0 Jon Dugdale http://capebyronsteiner.nsw.edu.au/wp-content/uploads/2015/12/CBRSSwebheaderlogo.png Jon Dugdale2018-06-08 11:30:022018-06-08 15:19:16Opportunity for tax deduction....June 30 is nearly here! Can you help with construction of our Innovation Centre? Please note that deductions to the Building Fund are tax deductible and June 30 is fast approaching! http://capebyronsteiner.nsw.edu.au/wp-content/uploads/2015/12/CBRSSwebheaderlogo.png 0 0 Jon Dugdale http://capebyronsteiner.nsw.edu.au/wp-content/uploads/2015/12/CBRSSwebheaderlogo.png Jon Dugdale2018-05-25 11:15:302018-05-25 14:02:46Can you help with construction of our Innovation Centre? • 30 tonne road base to bottom car park to fill in potholes. 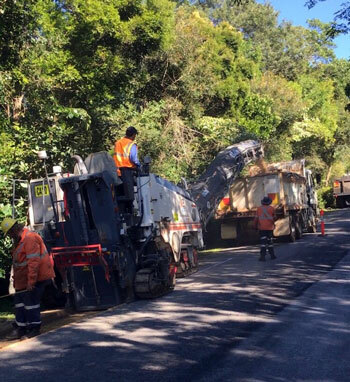 • Car Park at Kindy extended with road base to provide safer parking. • Tree work at Kindy to help ameliorate tick problem. • Various other tree works around school. 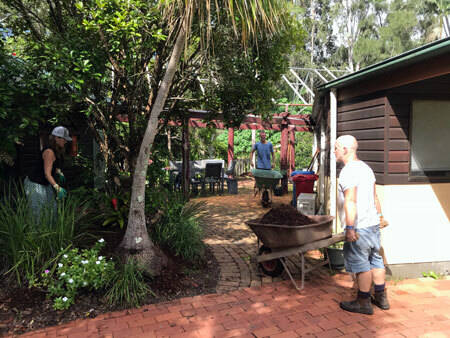 • Installation of storage shed at Silky Oak Cottage. • Underground power, communications & fibre optic cable pipes installed to new Innovation Ctr building. • Various fence replacements & repairs around school. • Service canteen coffee machine. • Various electrical repairs around school. • Installation of new short throw projector to Casuarina room. • Install shelving in HS Music room for speaker mounts. • All classroom water filter cartridges changed. • Installation of 2 new filtered water bottle fill stations at steps to Grevillia room & outside disabled toilet at front of Hall. • Clean all air-con filters. • End of term clean to whole school. • Weed control program to whole school. • Spray & whipper snip all paving. 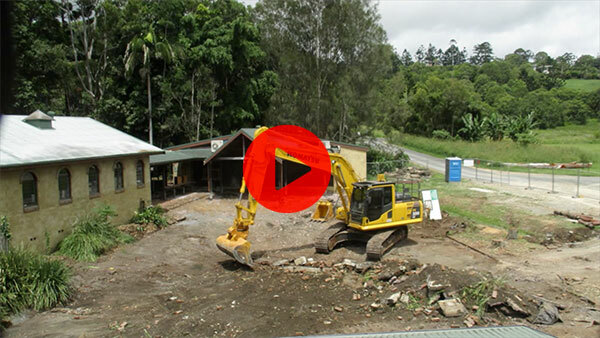 • Constant clearing of erosion around school from various earthworks & rain events. • Continue with attempts to possum seal Cl 5 & 6. • Possum seal archive & power rooms. • Paint touch ups to Cl 3. • Oil D of P K-6 Office door. • Repairs to a number of table tennis tables in Hall. • Tidy up power leads in Lemon Myrtle room. • Extensive work with Innovation Ctr contractors sorting many, many details. 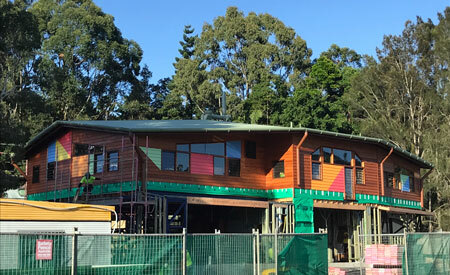 We are proudly leading the way in combining sustainability with innovation, with the construction of our new state of the art science and maths high school building, designed by local architect and CBRSS parent Michael Leung and incorporating the creative use of Hempcrete walls. 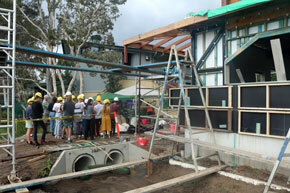 HEMPCRETE is a natural building product constructed by local award winning building company Balanced Earth. Hempcrete sequesters carbon for the life of the building, is a breathable wall system, is mould resistant, is a great insulator with good acoustic properties and is toxic free! Created by simply combining hemp, water, sand, Hemp Masonry lime-based binder and plenty of hard work, it produces an innovative building product that’s healthy for the environment. 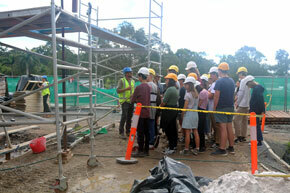 Students at the school have been instructed in the qualities of Hempcrete and the methods for building with Hempcrete through onsite lessons from the builders. Head contractor Field Construction group is ahead of program with the building due for completion in August 2018. 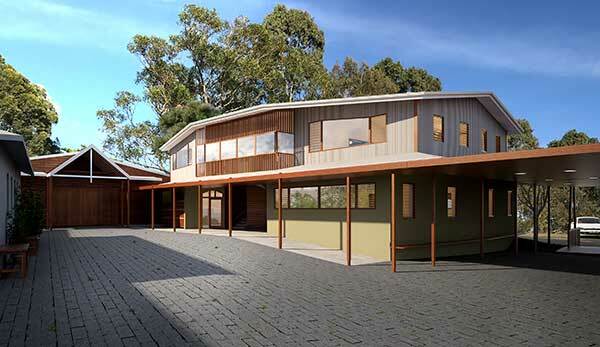 This truly sustainable building together with Australia’s first established efficient educational onsite grey & black water systems and our Grid connected 26kWh Solar power that produces between 40% – 50% of our electricity needs, means Cape Byron Rudolf Steiner School is leading in sustainability and Innovation. We would like to create a beautiful entry to the school including an outdoor shelter between the new building & the Performance Hall. The aim is to provide students & parents a covered drop off area at pick up time and students with an additional sheltered space in the playground. This is in addition to the building that is currently underway. Please note that deductions to the Building Fund are tax deductible. We had a lovely, productive, community RCM Morning recently with 10-12 parents attending. We were able to work together & improve a number of areas around Admin & the Top Playground. Such a fun way to contribute to the physical body of the school & enrich our community. Wednesday 28th March 9 -11am. 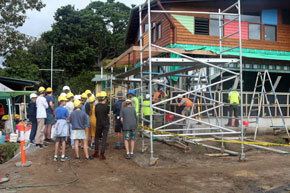 We will be working in the top playground and around Admin & Silky Oak Cottage. Another opportunity to contribute to the vibrant community life of our school. There will be a variety of tasks for all. It will be my second morning back after my recent Hip Replacement. As you may have noticed, construction of our new Innovation Centre is now well underway. We would like to create a beautiful entry to the school including an outdoor shelter between the new building & the Performance Hall. The aim is to provide students & parents a covered drop off area at pick up time and students with an additional sheltered space in the playground. This is in addition to the building that is currently underway. We are aiming to raise $30,000 for this addition. The current balance in our Building Fund account is $13,000, so we still need to raise $17,000. If you would like to make a donation please scroll down to the bottom of the Bulletin and click our Donate today button. Please note that deductions to the Building Fund are tax deductible. Watch the first 12 weeks of construction in under 5 mins. Sound track Freedom Jazz Dance by Patrick, Louie, Noah & Anatole. Thanks to Nigel Haslam of motioncircus.com who has kindly installed his Timelapse equipment and donated his time to document the construction of the new Innovation Centre. What does Gavin get up to in the holidays? There are dramatic changes underway at the entrance to the school. We have finally begun construction of our fabulous new Innovation Centre that will comprise two science laboratories & two classrooms. You may find the changes look a little disturbing, as we had to remove a number of trees & realign the storm-water dam. We have saved the trunks of the trees. Our Design & Technology department will turn the stumps into slabs of timber and our students will convert them to furniture & other items. This way the students get direct experience of the growth of trees right through their life cycle & journey to furniture. 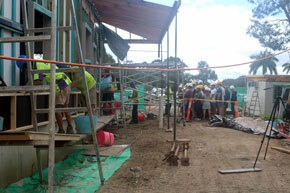 Last year our students participated in the planting of 11,000 Koala habitat trees on the southern side of our school. These will now make a continuous Koala Corridor from the ridge through to the Belongil forest in the distance. This area will look & feel stunning in another 10 years. • Storeroom removed from between Art & Science rooms to reopen path to Science & HS Music room whose only entrance for duration of building project is through the back door. • New stone sitting circle outside HS music room. • Pathway to east of Hall, which will be main entrance to school during building project, has been adapted to make wider for better flow of foot traffic. • Removed set of built in shelving in Art room & constructed more versatile moveable shelving unit. • Painted 12 GLA (General Learning Area) chalkboards. • Gyprock repairs to various walls. • Painted Silkwood, Casuarina, Melaleuca, and Grevillia & Lilli Pilli rooms. • New double swing constructed with interchangeable exercise rings beside Outdoor Classroom. • New bridge constructed at D&T. • New gutter to D&T, new verandah roof. 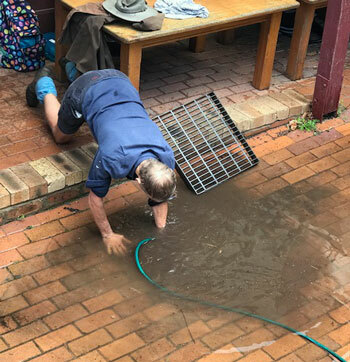 • Major repairs to leaking gutters at Kindergarten Rose & Class 4 including installation of gutter guard. • Removed leaking skylight from Kurrajong room & replaced with polycarbonate. • Repainted parts of Class 5. • Teacher, partner & parents repainted Cl 3. • New Director of Primary K – 6 Office under construction beside Cl 3. • New fly over verandah roof constructed at Cl 3. • New Garden Shed constructed at Kindergarten. • New shelving unit constructed for inside garden shed. • A couple of new shelves to Kindergarten Bathroom. • Renovate 30 desks for Cl 1. • Repaint 30 student chalkboards for Cl 1. • Renovate vege garden at Cl 1. • New teachers desk & round rug for Cl 1. • Repairs to birdbath at Cl 1. • Deep Clean to whole school. • Window clean to whole school. • Service air con units to whole school. • New air con units to D&T, Cl 1 & Dark room. • Service all fire equipment. • Service all gas equipment. • Service all D&T equipment including annual service of new dust extraction unit. • Service all waste water systems. • Service all waterless urinals. • New industrial stove for Canteen installed. • Safety test & tag to 660 electrical items. • New LED down lights fitted to HS Music room. • New power outlets around school. • Service Hall emergency lighting system. • Annual test of Hall fire safety systems. • Various other electrical repairs around school. 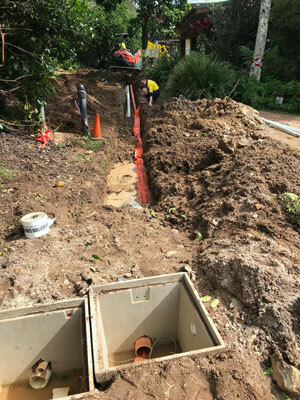 • We had 2 large trees damaged in the big winds last week & had to be removed near Silky Oak Cottage. • New white sand to all sandpits. • New soft fall under all playground equipment. • Raised vege garden beds renovated ready for class lessons. • Much weeding, gardening & pruning around whole school. Lots more to do! • Professional weed control program to whole school. • All paving areas sprayed with Slasher (Geranium Oil) and whipper snipped. 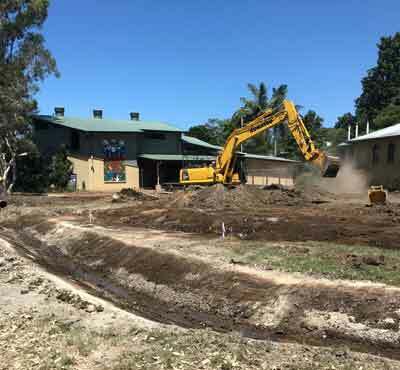 • Excavator to clear stormwater drain near raised vege garden area, plus clearing of various other drains around school. • Angle grind adaption of 30 lockers at Casuarina in preparation for arrival of 30 new self-closing locker doors. • 30 new desktops for HS on order for replacement. • Repairs to various pieces of furniture, equipment etc around school. • And a thousand other various tasks that has kept me & the 70 odd plus contractors busy throughout the holidays. It has been and still is a whirlwind of activity! 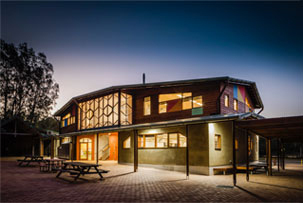 http://capebyronsteiner.nsw.edu.au/wp-content/uploads/2015/12/CBRSSwebheaderlogo.png 0 0 Yvette http://capebyronsteiner.nsw.edu.au/wp-content/uploads/2015/12/CBRSSwebheaderlogo.png Yvette2018-02-09 12:45:542018-02-09 14:02:06What does Gavin get up to in the holidays? Katie snapped this of Gavin after a heavy downpour. The varied tasks of keeping the site running smoothly! Followed by lunch at Canteen supplied by school. We will be working on beautification of the school entrance. There will be walls to paint. And lots more. Something for everyone. Come along have fun and build the school social body. Keeping the Beat with the Dreamers & Future Travellers. FOR SALE: School Motor Vehicle. 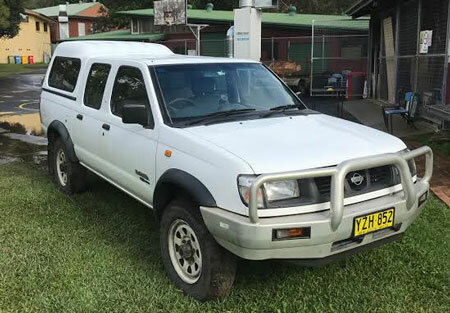 Nissan Navara Twin Cab Diesel Ute. Year 2000. $5,000. Contact Gavin on 0427 847 400.